Dental bridges provide support and restore your beautiful smile. Dental bridges are the perfect solution for multiple missing teeth. If you’re missing one or more teeth, you’re not alone. The American Dental Association reports that many adults between 20-64 years old have three decayed or missing teeth. Fortunately, you have many options for replacing these missing teeth, including dental bridges. Teeth replacements have come a long way in the last 30 years. Missing or extracted teeth raise common concerns of a gap in your teeth, but the proper replacement is the key to a confident smile. Are dental bridges the solution that you are looking for? We can help you decide if dental bridges in Westchester is the right option for you. Traditional bridges are the most popular kind of bridge. These bridges consist of one or more fake teeth and are held in place by dental crowns. These dental crowns are cemented onto the teeth next to your missing tooth. Traditional bridges can be used when you have natural teeth on both sides of the gap created by your missing tooth. Bridges are even strong enough to replace molars. 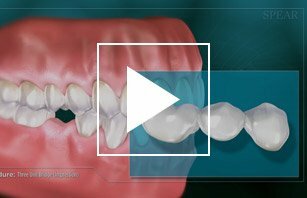 Cantilever bridges are another option for replacing missing teeth. They are very similar to traditional bridges, but the fake tooth is supported by an abutment on only one side, rather than on both sides. So if there’s only one natural tooth next to the gap, your Westchester cosmetic dentist can still secure a bridge. Maryland bridges are a conservative alternative to traditional bridges. These bridges consist of a fake tooth that is held in place by a metal or porcelain framework. This framework is bonded onto the backs of the two teeth next to the missing tooth. Since this type of bridge isn’t held in place by crowns, the adjacent teeth don’t need to be filed. The dental bridge procedure is a multi-step process that takes more than one visit to our Scarsdale or Chappaqua offices. Once you’re in the chair, we will inject a local anesthetic into the gum tissue. Then we will reshape the teeth that will house the crowns, either by filing down sections of the tooth or filling them. These crowns need to fit securely to hold the bridge in place. After we reshape the teeth, we will make an impression of the missing tooth and the surrounding teeth. We send the impression to our in-house laboratory to create a bridge that fits your mouth exactly. While our technicians are working on your custom bridge, your Westchester cosmetic dentist will give you a temporary bridge to fill the empty space. When your bridge is finished, you’ll come to a follow up visit to have the permanent bridge placed. Some of the placement involves making sure the bridge doesn’t interfere with your bite alignment. The life of a dental bridge can surpass 10 years with good home care. One of the reasons bridges fail earlier is because cavities can form in the crowned teeth. So, a proper oral routine should include brushing, flossing and regular dental checkups to ensure your natural and bridged teeth are in perfect health. Need Dental Bridges? We Can Help! If you are in need of dental bridges, our cosmetic dentistry can help! With two locations in Scarsdale and Chappaqua, NY, our goal is to help you get the smile you want. To get dental bridges placed correctly, you will need a prosthodontist like Dr. Brisman. During the process, he can make sure it matches your unique needs, fits, and functions like a regular tooth. Our on-site dental laboratory provides custom, beautiful dental pieces that can blend in with your natural teeth and last for many years. If you have one or missing teeth, dental bridges may be right for you! Contact our Scarsdale or Chappaqua location today to schedule an appointment. After a dental bridge procedure, you can expect to eat and chew without problems, but you may need to make some changes to your dental care routine. Cleaning any of the types of dental bridges involves cleaning under the false tooth. By following a few simple steps, you can keep your dental bridge fresh and clean and prolong its useful life. Brush twice a day with toothpaste that deep cleans. Floss once a day under the false tooth as well as between your natural teeth. You can use regular floss or a proxy brush, which is a tiny brush designed to get into all the nooks and crannies between teeth. Visit our office regularly for a profession cleaning. Eat a diet higher in fruits, vegetable, and fiber than meat. A dental bridge prevents dental problems and chewing difficulties that may follow the loss of a tooth. If you have further questions on how to maintain a healthy and strong dental bridge please ask us for further instruction. 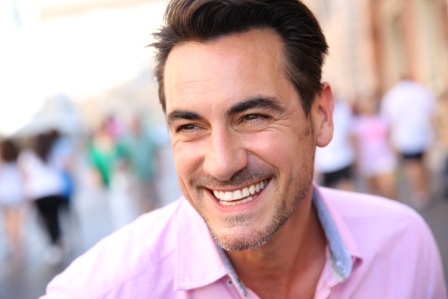 Get dental bridges from a skilled prosthodontist from our Scarsdale or Chappaqua locations. Materials used Certain advanced materials, such as porcelain or zirconia, will cost more than other types of bridges. Because these materials are so durable and lifelike, many patients consider them an invaluable investment in their smiles and dental health. The fabrication process The fabrication process - In most cases, bridges are crafted in dental labs. But, we also offer same-day crowns. This second option will typically cost a bit more. The complexity of the placement Lengthy or more advanced procedures will cost more. For example, it will cost more to place an implant-supported bridge than a traditional crown-supported restoration. Aesthetics: It restores the appearance of a healthy smile and can also fill out the shape of the bottom part of your face. Restoration: You’ll restore your clarity of speech and increase your ability to chew your food. Distribution: A bridge distributes the force of your bite equally to alleviate stress on other teeth. Cost: Bridges are much less expensive than implants, especially if you need multiple teeth replaced. Let Us Help Restore Your Smile! When you are missing teeth, you will notice gaps or shadow in your smile or may even find yourself naturally smiling less to cover up the holes. A bridge will not only fill out your mouth to let you present your best smile but will also give you the confidence to do so. Help keep your smile beautiful and maintain jaw and dental health with dental bridges! 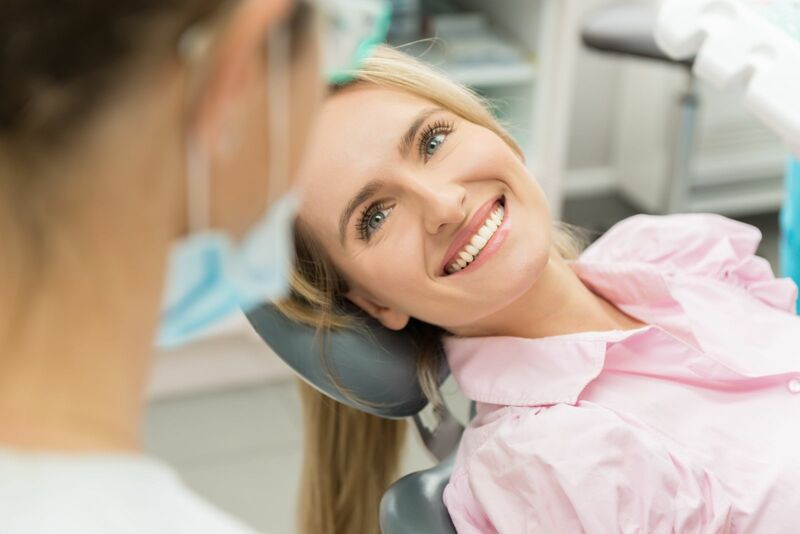 If you want to learn more about how dental bridges in Westchester can restore your smile or need to schedule an appointment, contact Advanced Dentistry of Scarsdale today. We will be happy to help!